Way up on this hill pictured,overlooking the North Bridge in Concord, the Patriots watched as their town was burning-the British had come to destroy the military store and equipment known by General Gage to be in Concord. The date:April 19,1775. 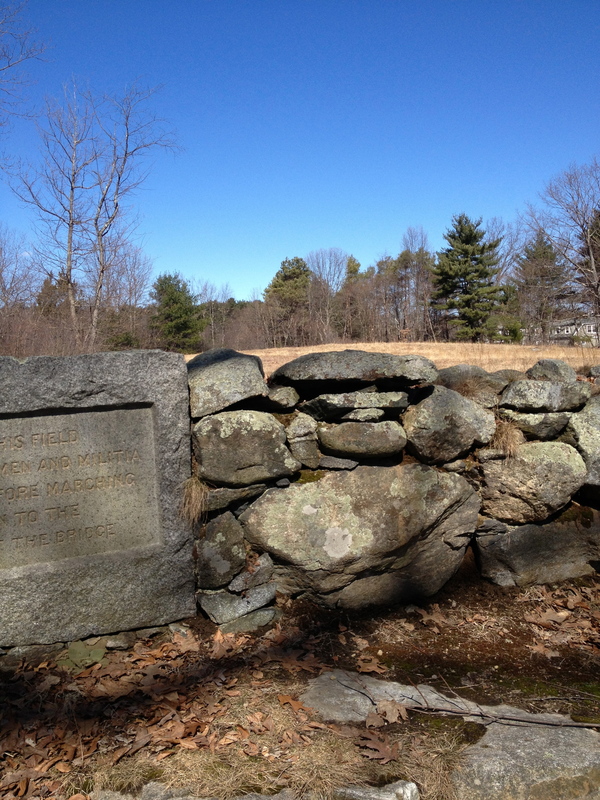 Colonel James Barrett surrendered the town of Concord and led the men across the North Bridge to this hill about a mile north of town, where they could continue to watch the troop movements of the British and the activities in the center of town. 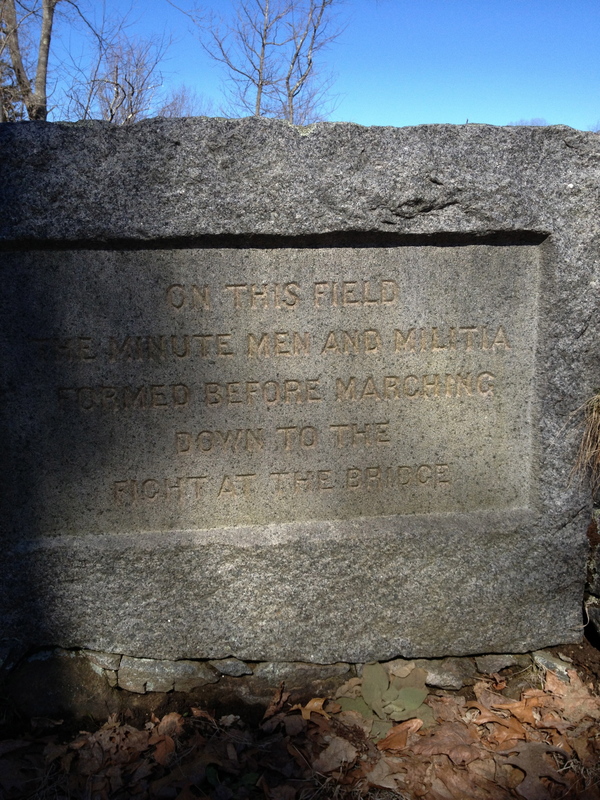 This step proved fortuitous, as the ranks of the militia continued to grow as minuteman companies arriving from the western towns joined them there. 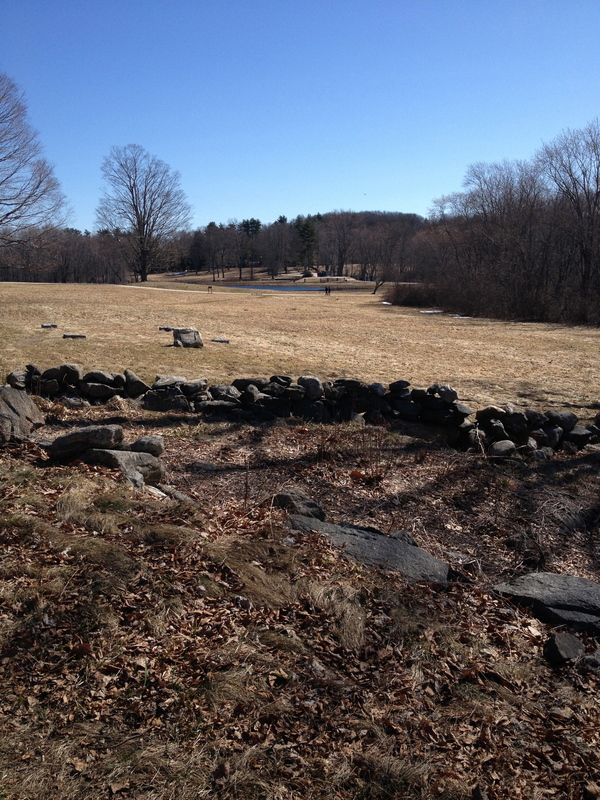 While some say that the American War of Independence began in Lexington on the Village Green on the same date, where a shot was fired by the British but not returned,ALL Concordians believe the War began in Concord on the North Bridge as shots were fired from both sides. To be fair,I will cover Lexington tomorrow! To keep the past upon its throne. Their English mother made her moan. This is a stanza of a poem called “Lines” by James Russell Lowell. This entry was posted in books, history, interesting ideas, photography, travel and tagged Concord, Patriots Day-Massachusetts, travel. Bookmark the permalink.